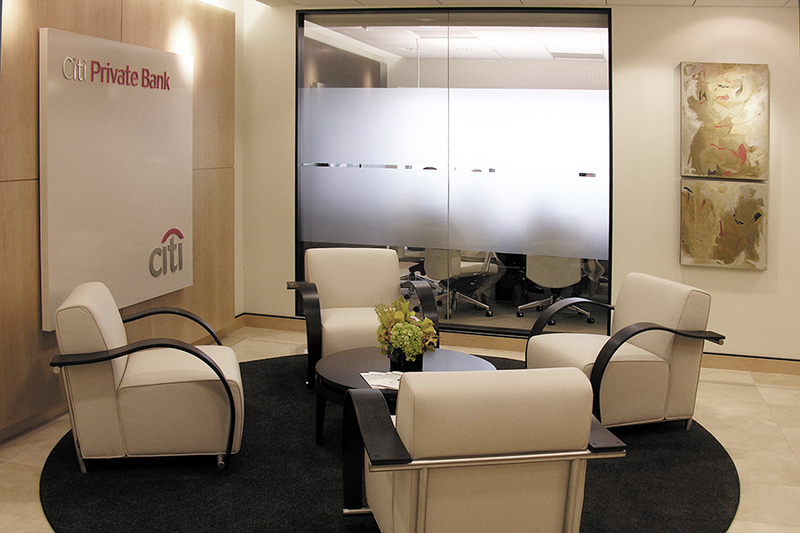 In the heart of downtown Miami, Citibank holds prominence in the Miami Center office building. 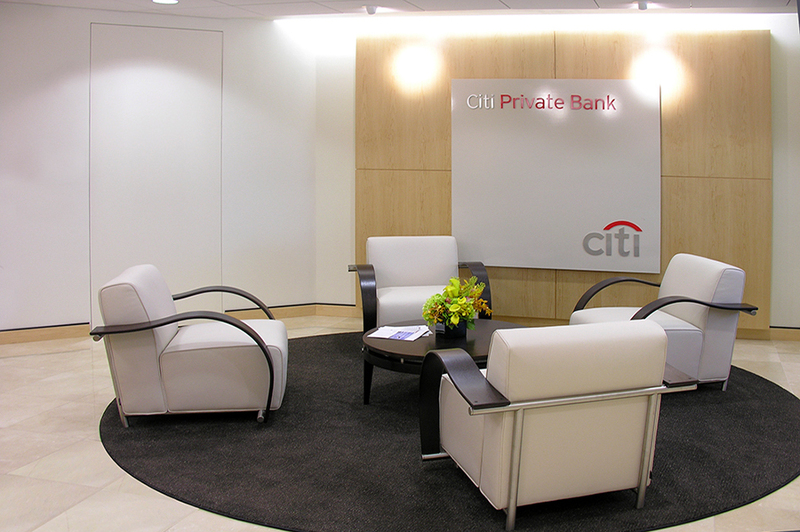 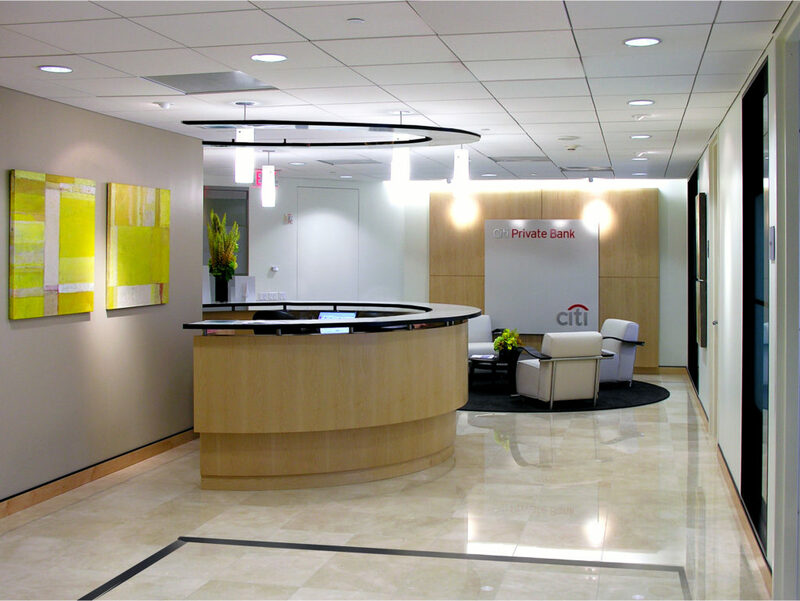 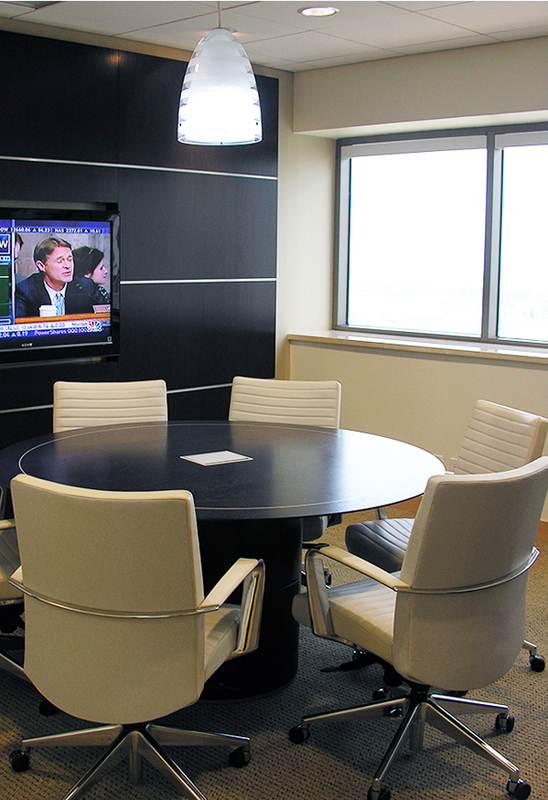 With 15 years of experience working with Citibank in Miami Center, our client looked to us to renovate and present a fresh, modern look to their high net worth client meeting rooms. 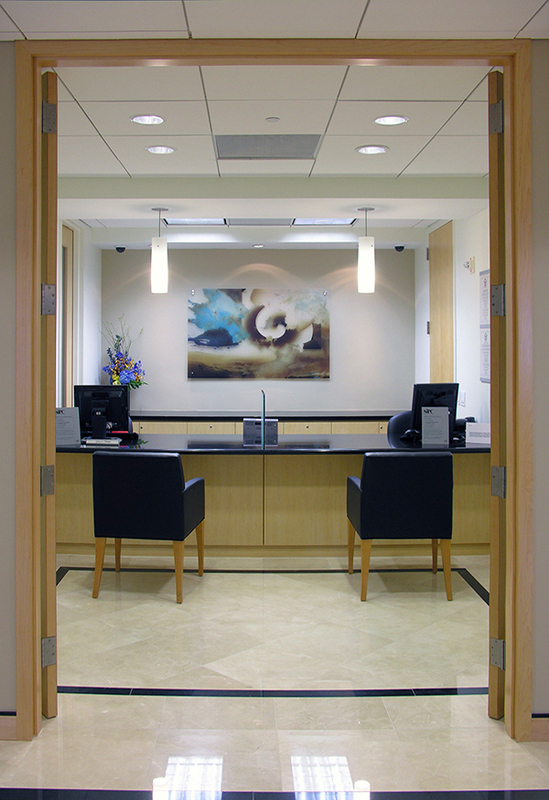 The space was to combine a fresh palette with neutrals and pops of color from curated art work. 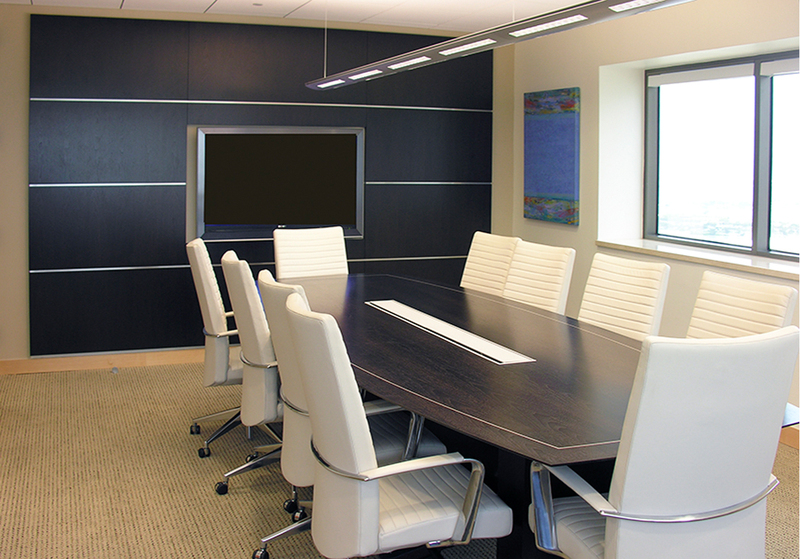 With the light maple wood and creamy marble floor setting the tone, the dark walnut furniture and warm white leather of the seating contrasted perfectly. 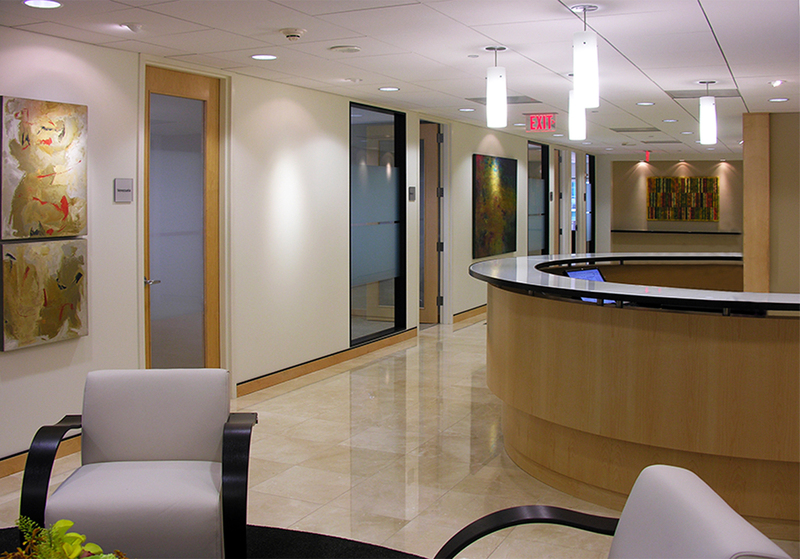 Dark walnut wood frames the frosted glass panels of the client rooms, allowing for natural light to fill the reception space.